TULSA, Okla. (AP) – The Oklahoma Board of Agriculture is set to address bills that would set rules for the location of poultry operations. Most important among the new proposals is one that requires poultry houses with more than 30,000 birds to be at least a quarter-mile from any home. Operations with 30,000 or fewer birds would have a 1,000-foot setback. Tulsa World reports that the board will consider the proposed regulations Tuesday during the first legislative session of the year. New poultry houses in northeast Oklahoma have been approved in recent weeks despite the state Board of Agriculture’s temporary ban on dispensing new permits last October. 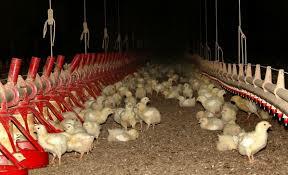 The moratorium was chiefly implemented due to Northeast Oklahoma residents voicing concerns about the expansion of poultry house construction in their communities and northwestern Arkansas.